Using Chandra, growing supermassive black holes have been discovered in a sample of blobs, immense reservoirs of hydrogen gas located in the early Universe. These black holes and bursts of star formation are believed to be illuminating and heating the gas in the blobs. This represents a "coming of age" for the galaxies and black holes as they start to switch off their rapid growth. A deep study of 29 gigantic blobs of hydrogen gas has been carried out with NASA's Chandra X-ray Observatory to identify the source of immense energy required to illuminate these structures. These mysterious blobs - called "Lyman-alpha blobs" by astronomers because of the light they emit - are several hundred thousand light years across and are seen when the Universe is only about two billion years old, or about 15% of its current age. The composite image on the left shows one of the largest blobs observed in this study. Glowing hydrogen gas in the blob is shown by a Lyman-alpha optical image (colored yellow) from the National Astronomy Observatory of Japan's Subaru telescope. A galaxy located in the blob is visible in a broadband optical image (white) from the Hubble Space Telescope and an infrared image from the Spitzer Space Telescope (red). Finally, the Chandra X-ray Observatory image in blue shows evidence for a growing supermassive black hole in the center of the galaxy. Radiation and outflows from this active black hole are powerful enough to light up and heat the gas in the blob. Radiation and winds from rapid star formation occurring in the galaxy is believed to have similar effects. Clear evidence for four other active black holes in blobs is also seen. The artist's representation on the right shows what one of the galaxies inside a blob might look like if viewed at a relatively close distance. A two-sided outflow powered by the supermassive black hole buried inside the middle of the galaxy is shown in bright yellow, above and below the spiral arms of the galaxy. This outflow illuminates and heats gas surrounding the galaxy. Radiation from regions close to the black hole will also play a significant role in lighting up and heating the blob. Stars are forming at a rapid rate in this galaxy, and young stars are being destroyed in supernova explosions. The three bright stars above the central bulge of the galaxy are examples of such supernovas (a companion illustration shows the effects of such explosions). These new results show how blobs fit into the cosmic story of how galaxies and black holes evolve. Galaxies are believed to form when gas flows inwards under the pull of gravity and cools by emitting radiation. This process should stop when the gas is heated by radiation and outflows from galaxies and their black holes. Blobs could be a sign of this first stage, or of the second. Based on the new data and theoretical arguments, Geach and his colleagues show that heating of gas by growing supermassive black holes and bursts of star formation, rather than cooling of gas, most likely powers the blobs. The implication is that blobs represent a stage when the galaxies and black holes are just starting to switch off their rapid growth because of these heating processes. This is a crucial stage of the evolution of galaxies and black holes -- known as "feedback" -- and one that astronomers have long been trying to understand.  The actual cause of geometrical structure in this is oscillations between two different confocal oblate spheroids. I am interested in how these objects are imaged via spectroscopy and telescope. Second in which direction these objects lie? and lastly is there a catalog for these object for the general public to access. What a fantastic site and for all the illuminating information on galaxy creation and their relationships to black holes. Has Chandra been able to locate galaxies blobs farther than 11.5 billion light years? We're almost witnessing the beginning of the universe anyway at such distances, but how wonderful to see at 13 billion light years. Is there a map showing the location of Lyman alpha blobs with respect to the celestial equator? Use this web-site to search for free copies of the various papers. Can you tell me when Lyman-Alpha blobs were first discovered and is there any literature about how they were discovered? I thank you for taking me out of my own, sometimes frustrating, medical research into a new world of wonder and beauty. This paper tells me a lot of things about cosmic. chandra.harvard.edu is the best. Keep it going. Have a nice day. Thank you very much for these marvel photos and to all the staff behind this job. What is the red shift of this object? What metallicity is observed? A remarkable artists impression on the right, thank you. In the atomic structure of matter there is a nucleus that matter centers around in the earliest stages of galactic formation gas is pulled to the center of what. It is hard for me to imagine matter being pulled to the center of nothing. Is there such a thing as a Black Hole or is the center of the galaxy something else like heavy-matter that creates a hub of a wheel that all ordinary matter spins around through its gravitational vortex? I feel that there is a piece of the puzzle that is missing from the equation like what could be so heavy that it could create enough gravity that would pull all matter to itself and be the creator of galaxies and the universe. Thank you for the tour of the universe, a truly magnificent journey it continues to be. The continued search into our roots generates even more questions. The pictorial journey above by Chandra enlightens while simultaneously dazzling us. We are only 2 billion years of the past light away from our earliest conception. However, now I understand how a black hole can develop so quickly after creation of the Universe. KEEP UP THE GREAT WORK. Is really amazing how much we approach to the first steps of the formations of galaxies and black holes, some day the science will be capable of to unveil completely to this secrets and will prove finally the important role that play the black holes in the formations of the galaxies and much of this we will have to thanks to the people of Chandra, for the great job they are doing to contribute to many discovery like that. So good to learn about, thanks a lot. 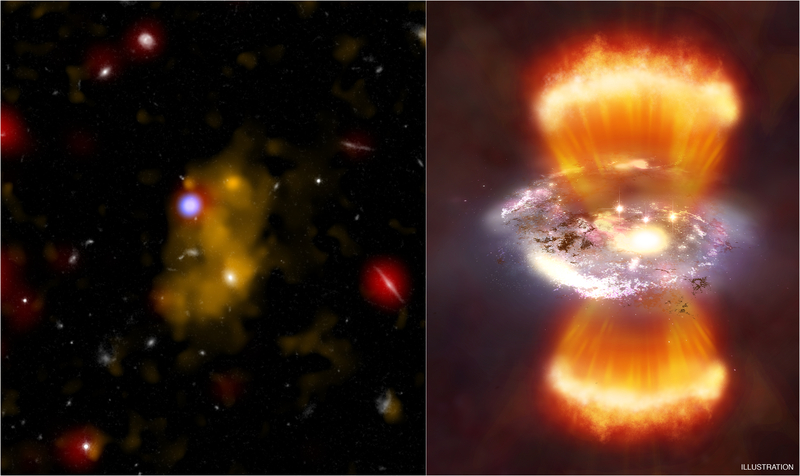 Chandra has done fabulous job, providing clues on galaxy formation. Thanks again for the wonderful job, you people are doing. Excelent brilliant. thanks a lot.